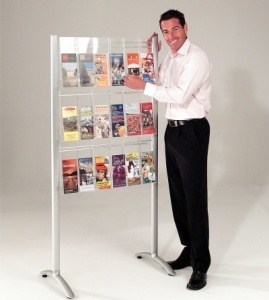 A sleek and elegant freestanding literature display. 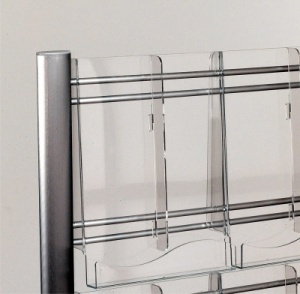 The simple clear leaflet holders are complimented with a modern satin anodised frame. 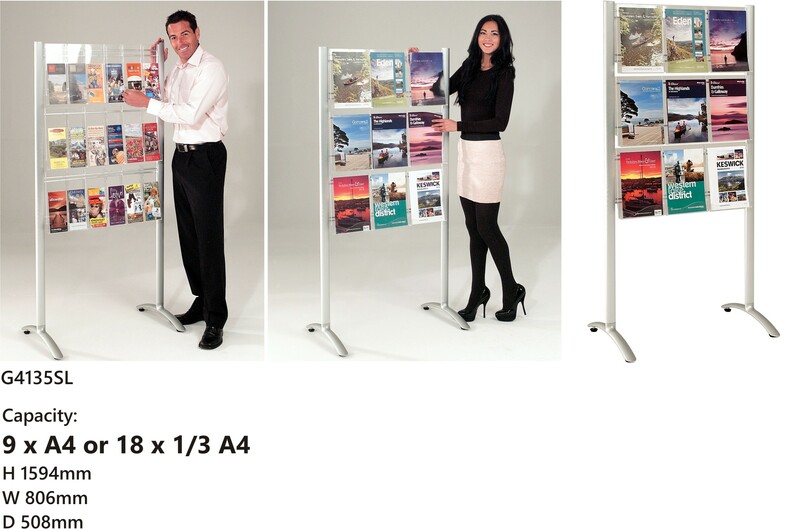 Dividers are supplied to enable each pocket to be converted from A4 to accept 1/3 A4 literature. 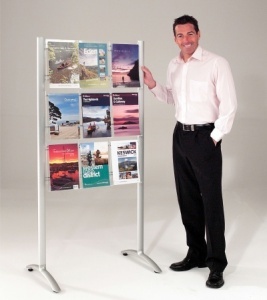 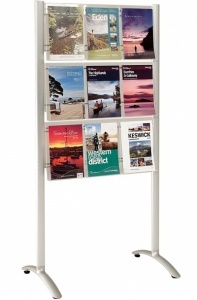 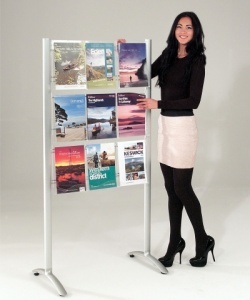 The Crest Freestanding Literature Display comes with adjustable button feet to aid stability.